In the forty-fifth book of Robert B. Parker series, a woman conned by a former lover enlists Boston’s most storied private eye in her cause and then has second and third thoughts. If you're a fan of Boston private eye Spenser, Little White Lies will keep you eagerly turning the pages to follow his latest adventures in the mean streets ...the 45th book in the series about Spenser created by Robert B. Parker, and the sixth one written by Ace Atkins, who was selected to continue the series after Parker's death in 2010 ...opens with a referral from Spenser's longtime love, Susan Silverman, who sends a patient from her therapy practice to him for a different kind of help ... Spenser's closest comrade, the enigmatic and invincible Hawk, plays a major role in Little White Lies ... In lighter moments, Atkins continues Parker's tradition of detailing Spenser's love for good food and drink... Before you crack open Little White Lies, lay in some doughnuts and pour some Blanton's neat, water back, just like Spenser likes it. Robert B. Parker's Little White Lies by Ace Atkins is another winner. Having taken over writing the Spenser novels nothing has been lost with this smart aleck character ... One of Parker’s best characters is Dr. Susan. In this novel she is front and center, which makes the story even more enjoyable. It is fun to have her work with Spenser, where her toughness and intelligence are highlighted. But a newer character that is also getting more airtime is Boston PD Captain Glass ... The relevance of the plot should not be lost on the readers. Within an entertaining story this book has fake news, spinning lies, and how facts can be spun. When Connie Kelly finds herself in trouble after an awful online dating scheme cost her several hundred thousand dollars, her therapist sends her to Spenser, a Boston-based private investigator ... The first half (or act I) of the book is solid. However, things take an eye-rolling turn when Connie flip-flops on her feelings towards Welles, kicking off a head-scratching second act that strays so far from the original plot that it feels like a completely different book ... If you’re a fan of Spenser and are invested in this series, then by all means, there’s a good chance you’ll enjoy Atkins’ latest offering. 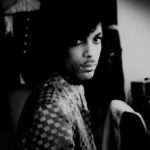 But if you’re not already in love with the character or familiar with the series, you might struggle to get into this one. 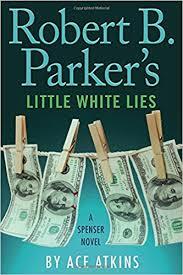 What did you think of Robert B. Parker's Little White Lies?